Come visit our retail store and indoor pistol range. .22 caliber to .45 ACP or bring your own firearms, from .22 caliber to 44 Mag. No shotguns allowed. We offer gun smithing services, repairs, cleaning, threading and machining. (taught by our certified Woman instructor) and Youth Firearm Safety Class. All classes are held in our on-site classrooms. We offer Concealed carry classes, both Oregon and Utah certifications; finger prints and photos are done here, for the Utah certifications. As a Dillon Reloading dealer, we sell equipment and components. Call for availability. Looking for a little nostalgia--- Rent a Thompson, .45 caliber fully automatic machine gun, or an MP 40- fully automatic, 9mm machine gun ! or a Colt, 9mm fully automatic firearm—all available to shoot on the range ! We offer gift certificates for all occasions. Have a birthday, bachelor or bachelorette party? Have it here! 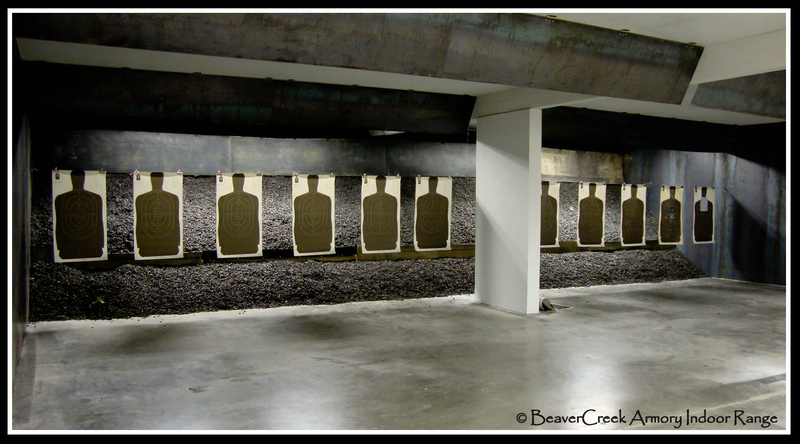 Copyright 2011© - Beavercreek Armory - All Rights Reserved.